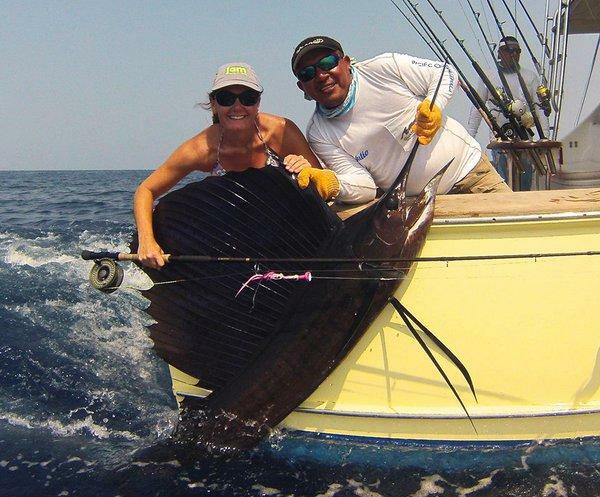 As one of the largest breeding grounds for Pacific sailfish, Guatemala has earned the moniker “Sailfish Capital of the World” for the incredible number of “Pez Vela” that are landed each season. Sailfish Oasis Charters is a full-service way to experience this incredible fishery with some of its top captains, and do so in complete comfort and style. 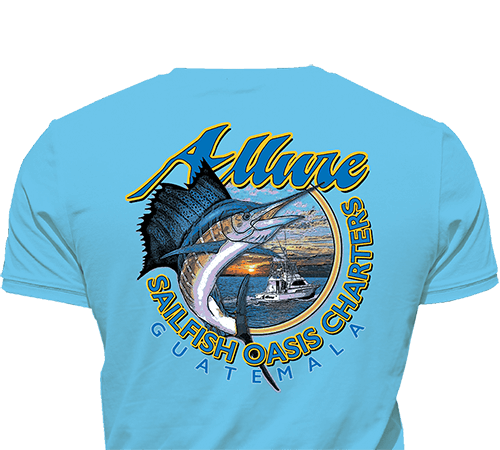 Along Guatemala’s Pacific coast, strong currents moving east from Mexico collide with currents moving west from El Salvador, creating an enormous naturally occurring eddy, rich in bait and pelagic fish. 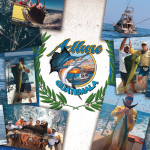 Sailfish Oasis Lodge is perfectly situated adjacent to Marina Pez Vela (“Sailfish Marina”) where anglers from around the world travel to intercept this fishing bonanza. 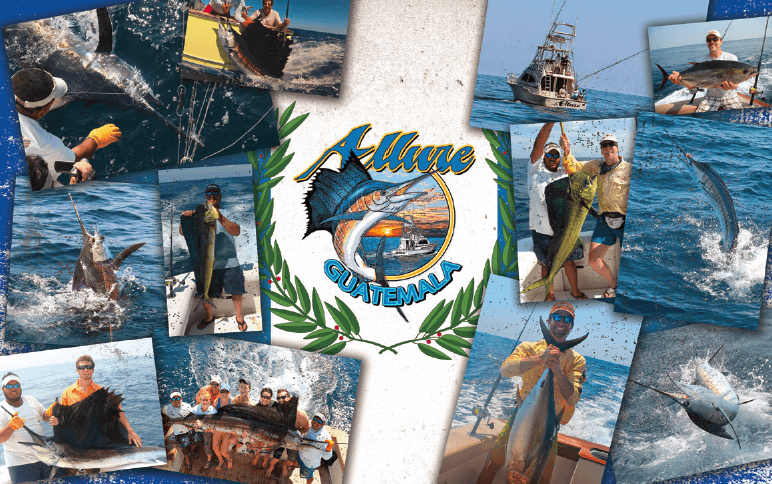 Sailfish take top billing – Guatemala holds both the conventional and fly fishing records for most sailfish released in one day. 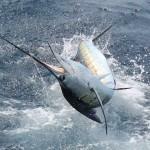 Sailfish Oasis’ fleet often releases 30 sails/day during peak season and has a year round daily average of 15-20. However, it is not uncommon to also release blue and black marlin as well as bring home a few tuna and dorado for the dinner table. Sailfish Oasis has a fleet of fishing boats highlighted by its flagship vessels – Allure, a 39’ Bertram Convertible, and Allure II, a 40’ cold-molded sportfisher from Capps Boatworks. Both are equipped with top-notch gear and are piloted by some of the best captains in the area. When you’re not fishing, you will enjoy the comfort of Sailfish Oasis Lodge – a spacious, private property with an incredible outdoor area with lush gardens and an inviting pool. Private a/c bungalows and an open air bar and restaurant will make your stay as comfortable as it is memorable. 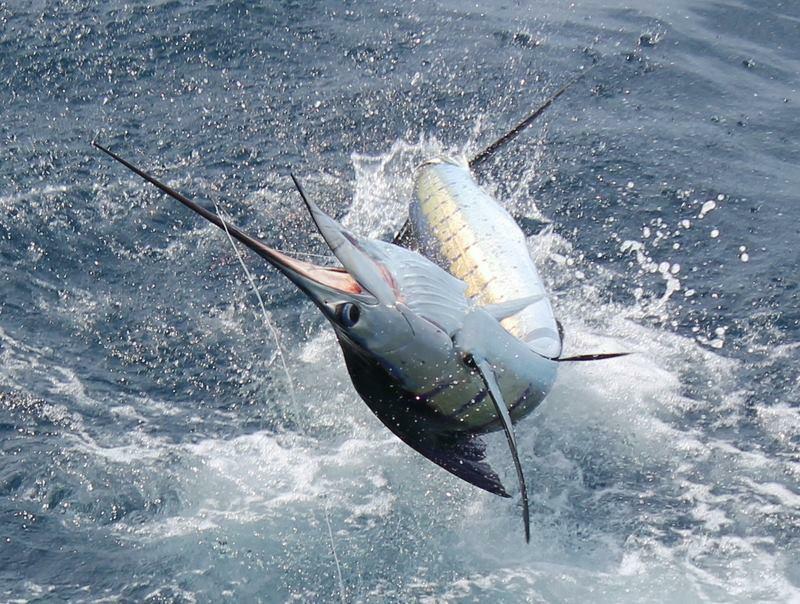 The highest concentration of billfish in the world combined with world class vessels and first-class accommodations make Sailfish Oasis a sportfishing vacation of a lifetime!